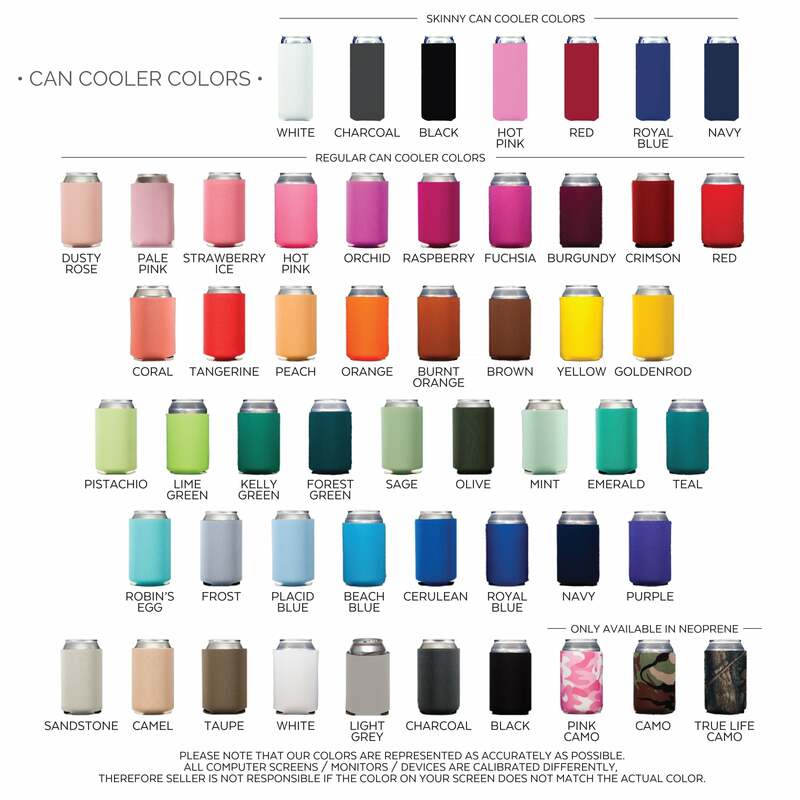 Custom Polka Dot Can Cooler Favors are the ultimate fun and functional summer party favor! These are great to use at BBQ's, beach getaways, birthdays, pool parties, wedding receptions and more. Your three-letter monogram is placed in a circle and polka-dot design. With three lines of custom text below. Everyone will appreciate the custom appeal and the extra cold drink! See below for all details!